I haven’t written anything about the topic of my book yet — so I guess this is the perfect place to start! Mermaids play a central role in the story… so needless to say it was a little disheartening to see that the U.S. National Ocean Service recently came out to officially say that mermaids (gasp!) don’t exist. 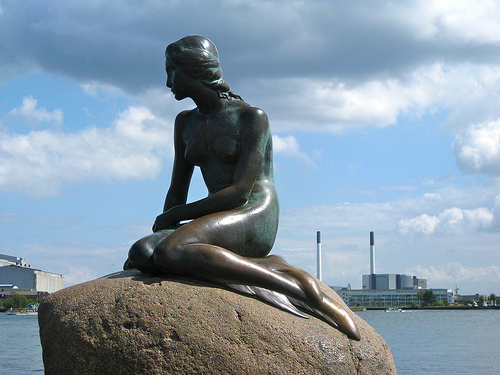 The U.S. National Ocean Service (NOS) made the firm announcement that mermaids do not exist. This announcement came in response to public inquiries into the NOS’ mermaid science program after a show about mythical creatures on the channel Animal Planet. How sad! Although just because they haven’t found any evidence *yet* doesn’t mean they couldn’t/didn’t ever exist, right? Since I’m still writing, maybe I’ll find a way to work a mention of this press release into the story. I do however love that mermaids are still such a part of of our popular mythos that an official agency actually needs to come out and deny their existence. Although I find the approach of the town in Israel offering a $1 million reward for proof of a mermaid to be much more fun.